Lots of folks would like to claim Jesus as their own but his divinity gets in the way. The Muslims claim Jesus was a great prophet to the Jews but far less than even their prophet Muhammad. Some Jewish folks would like to acknowledge him as an ancient Jewish rabbi teacher if they could leave out the God thing and ignore the terrible treatment many Jews have received from some of his misguided followers over the centuries. Even Hindu and eastern gurus like to make the claim that Jesus traveled to India and learned everything from them. Then there is the strange case of Richard Dawkins who wants to claim that Jesus Would Be An Atheist Today. The real problem is that the Bible gets in the way and supports the divinity of Jesus. Not only that, but Jesus clearly indicated on a number of different occasions that he was the “I am” God of the Old testament. The response of those who heard him at the time confirms it. One is left to choose whether Jesus was a liar, just crazy, or whether he was telling the truth. Really there is no middle ground or justification for claiming that he was some kind of ethical teacher or prophet of God if he lied about something as basic as who he really was. If you can’t remember where the first 2 scriptures are, here is the easiest one to find. Turn to the first book of the New Testament- Mark and find the record of his trial before the Sanhedrin toward the back of the book in chapter 14. Here, the religious leaders respond to the claims of Jesus during his trial. Again the high priest asked him, "Are you the Christ, the Son of the Blessed One?" "I am," said Jesus. "And you will see the Son of Man sitting at the right hand of the Mighty One and coming on the clouds of heaven." The high priest tore his clothes. "Why do we need any more witnesses?" he asked. Obviously the religious authorities believed that Jesus was claiming to be divine and deemed him worthy of death for his blasphemy. TIME and again, Jesus showed that he was a creature separate from God and that he, Jesus, had a God above him, a God whom he worshiped, a God whom he called “Father.” In prayer to God, that is, the Father, Jesus said, “You, the only true God.” (John 17:3) At John 20:17 he said to Mary Magdalene: “I am ascending to my Father and your Father, to my God and your God.” (RS, Catholic edition) At 2 Corinthians 1:3 the apostle Paul confirms this relationship: “Blessed be the God and Father of our Lord Jesus Christ.” Since Jesus had a God, his Father, he could not at the same time be that God. The apostle Paul had no reservations about speaking of Jesus and God as distinctly separate: “For us there is one God, the Father, . . . and there is one Lord, Jesus Christ.” (1 Corinthians 8:6,) The apostle shows the distinction when he mentions “the presence of God and of Christ Jesus and of the elect angels.” (1 Timothy 5:21, RS Common Bible) Just as Paul speaks of Jesus and the angels as being distinct from one another in heaven, so too are Jesus and God. Jesus’ words at John 8:17, 18 are also significant. He states: “In your own Law it is written, ‘The witness of two men is true.’ I am one that bears witness about myself, and the Father who sent me bears witness about me.” Here Jesus shows that he and the Father, that is, Almighty God, must be two distinct entities, for how else could there truly be two witnesses? Jesus further showed that he was a separate being from God by saying: “Why do you call me good? No one is good but God alone.” (Mark 10:18,) So Jesus was saying that no one is as good as God is, not even Jesus himself. God is good in a way that separates him from Jesus. The one who is the true light ,who gives light to everyone was coming into the world. So the WORD became human and made HIS home among us. HE WAS FULL of unfailing love and faithfulness . and we have seen HIS glory , the glory of the FATHERS one and only SON. For the law was given through Moses , but GODS unfailing love and faithfulness came through JESUS CHRIST. 18 No one has ever seen GOD, But the unique ONE , who is Himself GOD ‘ is near the FATHERS heart . HE has revealed GOD to us. John raises the curtain on his Gospel with a stunning description of JESUS CHRIST as ” the WORD” (Greek logos’1:1) Both Greek and Jewish listeners in the first century would immediately recognize the profound meaning of this title. Greeks would have thought of the seminar forces that sustain the universe . Jewish mind would have thought back to GOD creating the world with HIS WORD (Gen 1:3-28)In JESUS day the WORD of GOD took on creative personal attributes (Ps 33:6,9) Jews view GODS WORD as personifying divine wisdom. Through wisdom , GOD extended HIMSELF into the cosmos, creating the world (Prov 8:22-31). In Johns drama , JESUS shares the same essence as GOD; the SON existed before time , and HE was the agent of all creation . John anchors the divinity of JESUS in this ancient Jewish concept of wisdom. The divine Wisdom that has existed from before time with GOD can now be known in JESUS CHRIST . In perhaps the most outrageous verse penned by an apostle , John writes that this logo , this wisdom, became flesh and lived among us as humans (1:14) What GOD IS THE LOGO IS. THE LOGO IS JESUS CHRIST..
JESUS CHRIST is GOD-IN- THE FLESH(1:1-2) , which explains HIS capacity to accomplish divine works . JESUS did not simply teach about GOD; in HIM GOD can be found. JESUS remarkable statement echoed what HE had said at Hanukkah: “The FATHER AND I ARE ONE (10:30) This claim is at the root of the worlds opposition to CHRIST ,John 5:18 So the Jewish leaders tried all the harder to find a way to kill him. For HE not only broke the Sabbath , HE called GOD HIS FATHER, thereby making HIMSELF equal with GOD. John 8:31 JESUS said to the people who believed in HIM’ “YOU are truly my disciples IF you remain faithful to my teachings. 32 And you will know the truth, and the TRUTH WILL SET YOU FREE. Discipleship is more than knowing who JESUS is . It is also about obeying HIS TEACHINGS (3:36;14:15,21,23;15:10).Because JESUS is the TRUTH (14:6)knowing HIM brings discernment of what is true and what is false. “set you free”: The truth brings freedom from darkness, falsehood, and sin. I really hate for you to be on this position ,but dont forget that you , yourself , for not believing the WORD OF GOD have put yourself in this situation.?? IF I could explain all there is on the Bible, I will be the new god ? why go looking for things that you dont understand , when the ones we do understand ,we dont do??????????? I agree that Yeshua aka Jesus, is our king not our God. He was spoke of in the old testament not as a man or God but God’s idea to save this sick world. “the word was God” it’s sad that everyone jumps to that scripture to say “ooh,ooh I figured it out, he is God”. Tell me what would be more significant a God coming down to save you, or a man who followed God’s word and was called to save you?Yeshua never stated he was God. Please look up the verses you are going to use that supposedly states Yeshua is God. Then compare them with the greek and hebrew bibles. You will see that alot were poorly translated. I speak from the holy spirit that God has supplied me with and the love for my king Yeshua. God is all mighty and powerful and would be very angry if we make another golden calf “Jesus”. Thou slall not have no other God before me. Thou shall not make unto the any graven image and bow down to them. For I Yaheh, your Elohim am a jealous El, visiting the crookedness of the fathers on the children to the third and fourth generations of those who hate me but showing mercy to thousands, to those who love me and keep my commands. Do not take the name of your God in vain. Remember the Sabbath day. These are only a few commands but you get the picture. Even Yeshua himself said that he did not come to do away with these commands but came to fulfill them. COME OUT OF HER MY PEOLPE. Ask God to open your eyes so that you may see the TRUTH!!!! Stop following your families beliefs and do the work yourself. God sent salvation through a man. That was his plan from the beginning. So you can quote anything you like but please understand the physical and spiritual meanings behind them. My God does not contradict himself from the old to the new testament. All is truth. There is NO trinity. Ask for the blinders to come off. It’s amazing that people have this fleshly desire to create an image so they might be able worship, but really its not needed. I too believed like the world, but no more. God has truly freed me from the binds of all untruths. I am aware and truly repentive of my past belief. May Yaweh bless you and keep you. May his face shine upon you and give you peace. For you to say ” The Muslims claim Jesus was a great prophet to the Jews but far less than even their prophet Muhammad” is evident that your knowledge of Islam and muslims is limited. Muslims make no prophet greater than other prophets, Moses , Noah , Abraham , Muhammed , Jesus , Lot, Solomon , and much more are all human beings that were given a message by god for their people. Jesus and Mary are mentioned in Quran more than any other prophet on the Quran. If this is evident of importance then Jesus would be more important than any other prophet. That is not the case, muslims only believe that Prophet Muhammed was the seal of the prophets the last messenger to mankind before the day if judgement. You must generalize on something this complex. I am not a biblical scholar but I think in John 8:58 Jesus was referring to the belief in the coming of a Messiah. That belief was around before the time of Abraham and anyone claiming to be him was punished by stoning. John 10:30 references Jesus caring for his followers and, as I interpret it, he means that God and he agree on that point, that anyone who follow Jesus’ teachings will be care for. In Mark 14:61-65 Jesus once again says that he is the messiah and actually states that he is human (Son of Man). That is why the priest got angry and condemned him to death, as per Jewish law. 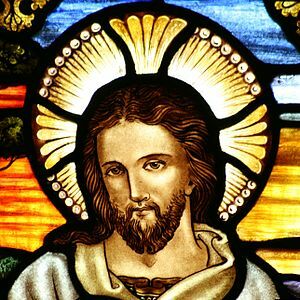 Jesus, throughout his teachings, went to great lengths to say that he was not equal to God, so are there are different hierarchy’s in the divine?